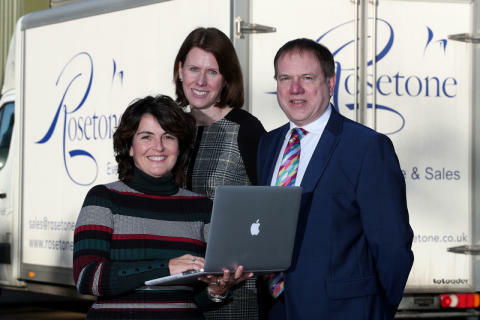 Rosetone Event Furniture, a family business manufacturing, refurbishing and renting Banquet Chairs and Event Furniture, was connected to high speed fibre broadband mid-2017. The firm has seen speeds soar, allowing staff to work faster and more flexibly using cloud computing -and run a broadband based Voice Over IP (VOiP) phone service to help keep call costs down. The Shefford based firm is one of more than 3600 businesses now have access to high speed fibre broadband as part of the multi-million pound Central Superfast broadband project. The Central Superfast partnership between Bedford Borough, Central Bedfordshire, Luton and Milton Keynes councils and Openreach recently completed the first phase of the project rolling out fibre broadband to more than 37,000 premises across the region. Phase two of the project is already well underway and has extended high speed coverage to a further 12,000 homes and businesses. More than 50 per cent of households and businesses have already chosen to upgrade to the new technology in areas enabled by the partnership, which is among the highest levels of take-up in the UK. Michelle Goodley, Rosetone sales director, said: “We are lucky enough to be based in a beautiful, rural setting, here in Shefford, but before the upgrade our broadband speeds were slow and we struggled to work online efficiently. “We are investing heavily in 2018 in Robotic Spraying Equipment for the factory, leading to more sales overseas, better quality hire furniture and ultimately grow our team. The investment will reduce the time to market for our products and services and enable important energy savings with a reduced environmental impact. Rhona Weekes, programme manager for Openreach, which is rolling out the new network, said: “Fibre broadband offers tremendous opportunities. It enables a household to benefit from high broadband speeds when they are using several different devices at the same time, so, for example, children can play online games or do their homework online whilst parents watch catch-up television, do online shopping or upload photos.